The U.S. smartphone market is dominated by iPhones, but they aren't cheap, and they rarely go on sale. If you want to get one without paying full price, buying a used or refurbished iPhone is your best bet. While a used iPhone can be a good deal, there are a few things you should watch out for. Buying used or refurbished iPhones saves some cash, but they may come with trade-offs. If you’re considering buying a used iPhone, here are eight things you need to check before buying, along with some suggestions for where to find a bargain. Every iPhone model starting with the iPhone 5 works on all phone company networks. However, it's important to know that AT&T's network uses an extra LTE signal that the others don't, which can mean faster service in some places. If you buy an iPhone that was designed for use with Verizon and take it to AT&T, you may not be able to access that LTE signal. Ask the seller for the iPhone's model number (it will be similar to A1633 or A1688) and check to make sure it's compatible with your carrier. When buying a used iPhone, you don't want to buy a stolen phone. Apple prevents stolen iPhones from being activated by new users with its Activation Lock tool. Apple used to offer a simple website for checking Activation Lock status, but the company removed it. However, you can still find out if the iPhone you are considering buying is stolen. You need the IMEI or MEID (depending on carrier) number from the iPhone. If you don't have the phone, you'll have to tell the seller where it is located. Scroll down and look next to IMEI (or MEID) for the number. It is usually a 15-digit number. Go to the CTIA Stolen Phone Checker website and enter the number into the field provided. Place a check next to I'm not a robot and click Submit. The website returns a green Not reported lost or stolen or a red notice that the phone has been reported as lost or stolen. If the report contains anything other than the green notice, it is better to look elsewhere for a phone. Even if you have the right iPhone model, it's a good idea to call your phone company before you buy to confirm it can activate the phone. To do this, ask the seller for the phone's IMEI number for AT&T and T-Mobile phones or the MEID number for Verizon and Sprint. Then call your carrier, explain the situation, and give the carrier the phone's IMEI or MEID number. The company should be able to tell you whether there the phone is compatible. Since users can't replace the iPhone's battery, you want to be sure that any used iPhone you buy has a strong battery. A lightly used iPhone should have decent battery life, but anything more than a year old should be checked. Ask the seller for as much detail about the battery life as possible or see if they’ll install a new battery before you buy. Apple installs new batteries in their iPhones for a reasonable price, so if you can't get reliable information on the condition of the battery, go to Apple.com for a price on replacing the battery before you commit to the purchase. Every iPhone has normal wear and tear such as dings or scratches on the sides and back of the phone. However, major scratches on the screen, problems with the Touch ID or 3D Touch sensor, scratches on the camera lens, or other hardware damage can be big problems. Ask to inspect the phone in person if possible. Check the water damage sensor to see if the phone has ever gotten wet. Test the camera, buttons, and other hardware. If inspecting the phone isn't possible, buy from one of the reputable, established sellers who stand behind their products. While the allure of a low price is strong, remember that used iPhones usually aren’t the latest models and have less storage space than current models. The current top-of-the-line iPhones offer up to 256GB of storage for your music, photos, apps, and other data. Some models that are available for low prices have as little as 16GB of space. That's a big difference. Size isn't as important as it used to be, particularly for people who use iCloud for photos and music, but you probably shouldn't get anything smaller than 32GB. Be sure you know what features you're sacrificing when you buy a used iPhone. Most likely, you're buying at least one generation behind the current model. That's fine and is a smart way to save money. Just make sure you know the features the model you're considering doesn't have and that you're OK without them. A refurbished iPhone may be $100 cheaper, but it may not have the latest features. If you can get a refurbished iPhone with a warranty, do it. The most reputable sellers stand behind their products. A phone that's had a previous repair won't necessarily be trouble in the future, but it might, so a warranty is a smart move. Apple: Apple sells refurbished products on its website. While it doesn't always have iPhones, the selections change daily, so it's worth checking. Apple's refurbished iPhones are repaired by the experts with Apple parts, and they come with the same one-year warranty that new iPhones have. 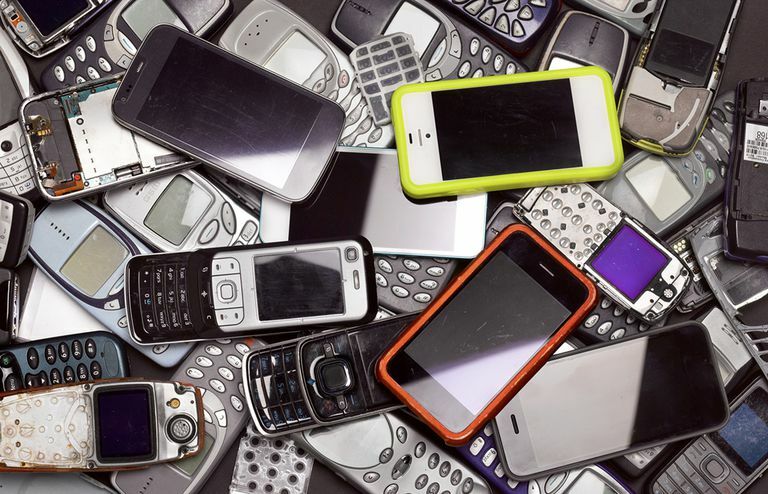 Phone Companies: Most of the major phone companies that sell new iPhones also sell used or refurbished ones that were traded in during upgrades or returned for repairs. Because the iPhone is a hot product, you may not see these often, but it's worth looking. Used resellers: Companies like NextWorth and Gazelle buy and sell used iPhones. Their prices are appealing, and they often offer a quality guarantee and protection plan. Check out a full list of companies offering these services. EBay and Craigslist: eBay and Craigslist are hotbeds of online bargains, but buyer beware. A scammer could stick you with a broken iPhone or a phone that doesn’t have the specs you thought you were getting. Try to stick with reputable, high-rated sellers.